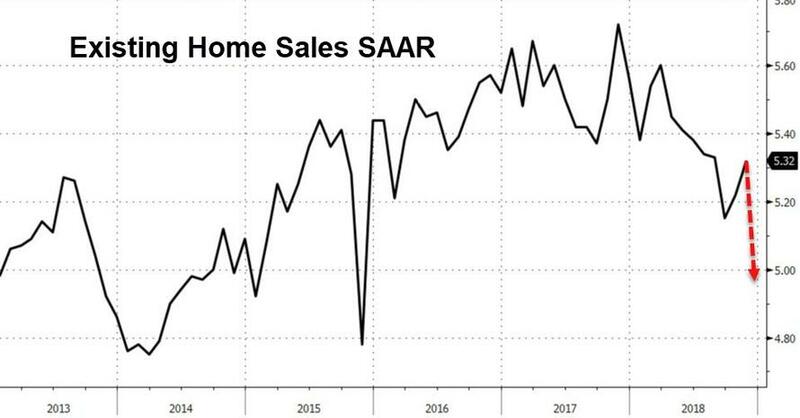 Amid a government-shutdown-driven dearth of macro data, this morning offers a tasty morsel to feed the hungry and hopeful masses as existing home sales (EHS) is due to print. According to the Bloomberg consensus, EHS should decrease by 1.5% MoM to 5.24M, after having reached a 3-month high in November. However, Market Securities' Chief Economist/Strategist Christophe Barraud is convinced that EHS will surprise on the downside due to both fundamental and transitory factors. In detail, buyers signed contracts in November for most December sales. During this period, 30-year mortgage rates peaked (highest since March 2011), limiting spending power in a context where prices had been rising by more than 5% YoY since August 2015. Looking at supply, on a YoY basis, inventory has rebounded since August 2018 and buyers have taken more time to choose. At the same time, weather conditions remained adverse in November while the government shutdown started to affect the housing market in December by delaying the closing of several transactions. 1. Local data showed that the decline was broad-based across the country with significant decrease seen in North East Florida (-16.0% YoY), Las Vegas (-17.0% YoY), Kansas City (-17.2% YoY) and Denver (-23.0% YoY). On average, local data that I gathered show a fall of 11.7% YoY, which looks coherent with results from other data providers such as Redfin (-10.7% YoY) or Remax (-12.1% YoY). According to my calculation, it implies a seasonally adjusted statistic of 4.99M (which would be the lowest since November 2015). 2. Fundamental factors favored a decline in housing transactions. As mentioned above, buyers signed contracts in November (and to a lesser extent in October) for most December sales. During this period, 30-year mortgage rates rose significantly, reaching the highest level since March 2011. According to Bankrate.com, 30-year mortgage rates exceeded 4.80% in early November, up 40bps since late August. The jump in mortgage rates added to housing’s ongoing affordability problem and prevented buyers from bidding up for the house they want. In the meantime, local data showed that inventory kept rising on a YoY basis. As a result, December’s YoY inventory increase will mark the fifth consecutive month of growth (a trend reversing a decadelong streak of YoY declines), which is usually associated to downward price pressure. In this context, local reports suggest that buyers are taking more time to make their choice. 3. Transitory factors also weighted negatively. Weather conditions remained adverse in November which should have dampened buyers’ traffic. As a matter of fact, according to the National Oceanic and Atmospheric Administration (NOAA), “the November precipitation total for the contiguous U.S. was 2.64 inches, 0.41 inch above average, and ranked in the wettest third of the 124-year period of record”. It also follows a difficult month in October where “the precipitation total for the contiguous U.S. was 3.37 inches, 1.21 inch above average, and marked the sixth wettest on record”. The government shutdown started to hit the housing market in December by delaying the closing of several transactions. People who applied for Federal Housing Administration (FHA) loan already experienced difficulties to finalize their transactions. On December 26, the Federal Emergency Management Agency (FEMA) ceased renewing or issuing new flood insurance policies while it’s a part of the mortgage-closing process in several regions. Even if two days later, the FEMA reversed its decision9, several newspapers kept reporting delays in January. In addition, the U.S. Department of Agriculture (USDA) isn't approving new loans during the shutdown. What To Expect In January? The estimated decline in December EHS will partly reverse in January amid a downward normalization in mortgage rates, which already resulted in a spike of applications. In addition, buyers’ traffic likely improved amid more favourable weather conditions in December. 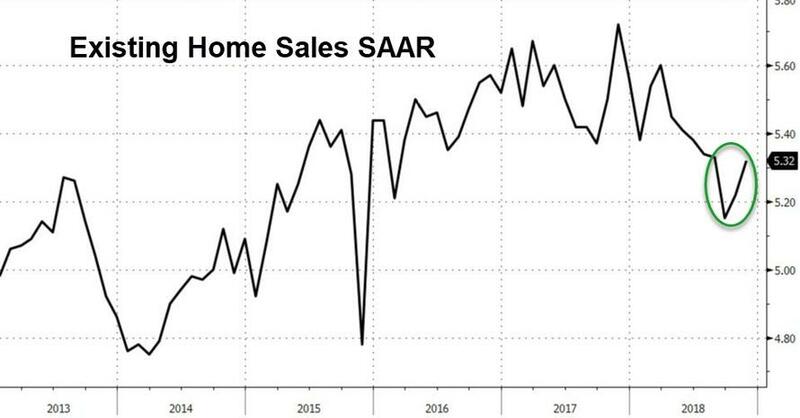 This is coherent with the pattern observed in pending home sales of local reports. However, the government shutdown will keep weighing negatively in the short term, further delaying the closing of transactions. In the medium term, it’s important to note that there is clear reversal in the inventory trend. The ongoing rebound YoY is likely to last and add downward pressure on prices.